The Robert W. Woodruff Foundation has pledged $400 million to find new cures for disease, develop innovative patient care models and improve lives while enhancing the health of individuals in need. The transformational gift, the largest ever received by Emory University, will change the lives of patients and their families. Through a new Winship Cancer Institute Tower in Midtown and a new Health Sciences Research Building on Emory’s Druid Hills campus, the Robert W. Woodruff Foundation’s generosity will help advance new solutions for some of medicine’s most challenging diagnoses, even changing the meaning of what it means to receive those diagnoses for future generations. 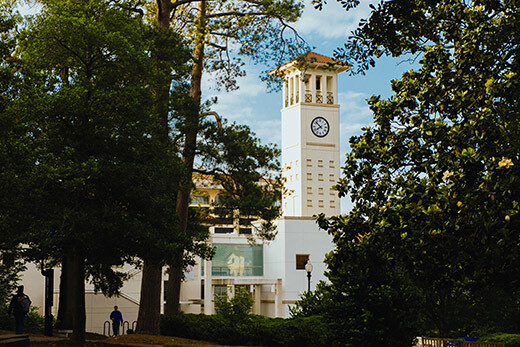 For many decades — at each phase of Emory’s growth and development — the Robert W. Woodruff Foundation has served as the university’s chief advocate and partner, transforming health care, supporting education and making greater quality of life possible for patients who pass through Emory’s doors. “This gift will allow us to accelerate the scientific discoveries needed for breakthroughs in patient care and to extend our reach in reducing the burden of disease for patients and their families,” said Jonathan S. Lewin, MD, Emory’s executive vice president for health affairs and CEO of Emory Healthcare. The Winship Cancer Institute Tower in Midtown will provide urgently needed infusion facilities, operating rooms, clinical examination rooms, spaces for rehabilitation, imaging technology and clinical research capacity. In April 2017, Winship Cancer Institute became Georgia’s first and only National Cancer Institute (NCI)-designated Comprehensive Cancer Center, joining an elite group, the top 1 percent of cancer centers nationwide. The new Health Sciences Research Building on Emory’s Druid Hills campus, a laboratory-focused facility, will house faculty and staff who are charged with developing a pipeline of cures, interventions and prevention methods, all aimed at improving the health of patients. Research teams working in the state-of-the-art facility will partner with Emory colleagues to target five emerging priorities in 21st century medicine: brain health; cancer; heart and vascular health; immunology and infectious diseases; and radiology, biomedical engineering, and imaging sciences. In a continuing partnership with Children’s Healthcare of Atlanta, Emory researchers in the new building also will investigate childhood diseases, focusing on discoveries that advance treatments and cures for our youngest patients. Robert W. Woodruff, the late legendary leader of The Coca-Cola Company, became a major benefactor of Emory beginning in 1937. In 1979, he and his brother, George Woodruff, gave Emory the then-record sum of $105 million, the first nine-figure gift to an institution of higher education, empowering the university to create, preserve, teach and apply knowledge in the service of humanity.